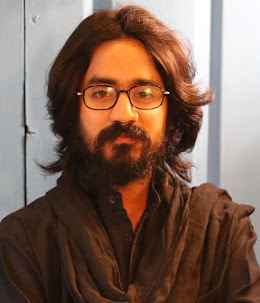 Aseem Trivedi is a cartoonist, activist and public speaker. He is known for his campaigns like Cartoons Against Corruption, 'Black & White' and Save Your Voice. His website was banned by Mumbai Police in 2011. In 2012, he was arrested for for his anti corruption cartoons in three charges including sedition (124A) and section 66(A) of IT Act. Sedition charges were dropped later by Mumbai High Court and Section 66(A) of IT Act was scrapped by Supreme Court in March, 2015. In 2015, he started 'Black & White', as an attempt to use cartoons in the campaigns to support the artist, bloggers, journalists and the HRDs, who are facing injustice and suppression for their work in any part of the world. In 2016, Aseem did a multi city speaker tour across Europe, which was organized by Front Line Defenders, an international human rights organization based in Ireland. He talked about his work and experience as a cartoonist and HRD in a number of public events hosted by many prestigious international organizations like English Pen, Index On Censorship, Reporters Without Borders and many more. He was announced as the 2012 recipient of the "Courage in Editorial Cartooning Award" of Virginia based Cartoonists Rights Network International. He shared the award with Syrian cartoonist Ali Ferzat. He was also nominated for the Freedom of Expression Awards 2013 by London based free speech organization Index on Censorship. Winners of Freedom of Expression Awards 2017 (organized by Indiex on Censorship) were presented with the cartoons created by Aseem Trivedi. He was also a contestant in a reality TV show Bigg Boss (season 6), which is an Indian version of international TV show 'Big Brother'.